Sabre Industries Inc. had a disorganized export process with no way to retain and format data. With Shipping Solutions software, Sabre Industries Inc. has kept up with company growth and stayed compliant with U.S. export laws. 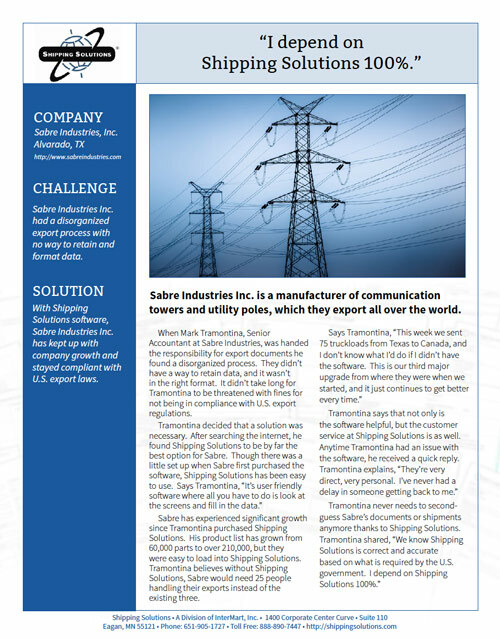 Sabre Industries Inc. is a manufacturer of communication towers and utility poles, which they export all over the world. "I depend on Shipping Solutions 100%." 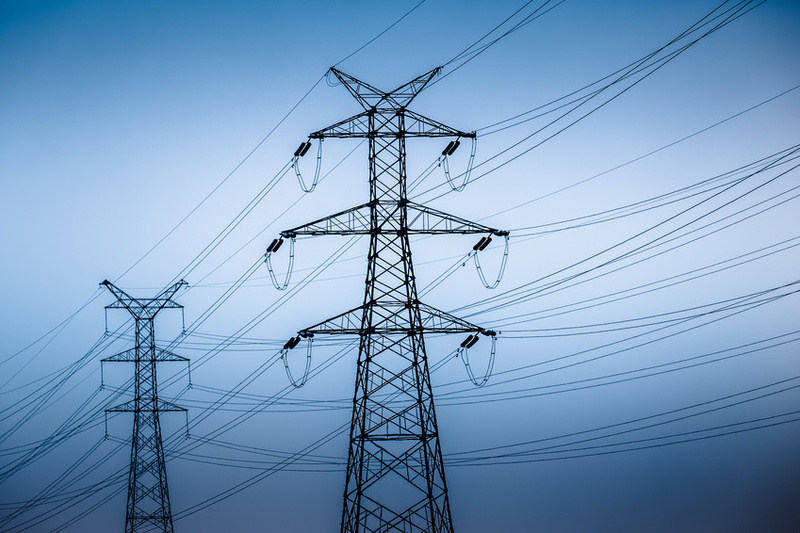 When Mark Tramontina, Senior Accountant at Sabre Industries, was handed the responsibility for export documents he found a disorganized process. They didn’t have a way to retain data, and it wasn’t in the right format. It didn’t take long for Tramontina to be threatened with fines for not being in compliance with U.S. export regulations. Sabre has experienced significant growth since Tramontina purchased Shipping Solutions. His product list has grown from 60,000 parts to over 210,000, but they were easy to load into Shipping Solutions. Tramontina believes without Shipping Solutions, Sabre would need 25 people handling their exports instead of the existing three.